Some of my favorite recipes are the ones I happen upon by mistake. These Low Carb Personal Pan Pizza Crusts are the best example of this process yet. I had seen a recipe somewhere that said you could make a type of focaccia bread using Bisquick so I saved it and started trying to get it to work and found that it just needed a little mozzarella cheese to firm it up and a little cottage cheese for moisture and better texture. Imagine my surprise when I figured out how great these fantastic little crusts turned out. And the fact that they are so fast and easy to make using my THM Friendly Bisquick Style Baking Mix was icing on this cake! 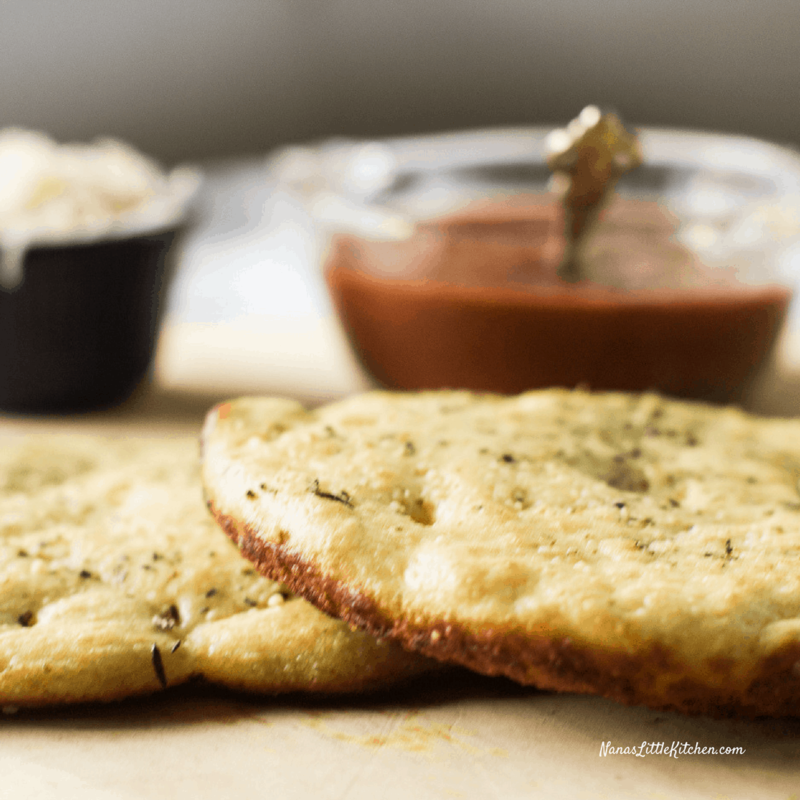 This hybrid mozzarella-batter bread uses only half the mozzarella of the traditional low carb mozzarella crusts so you get a great texture plus less mess and expense. 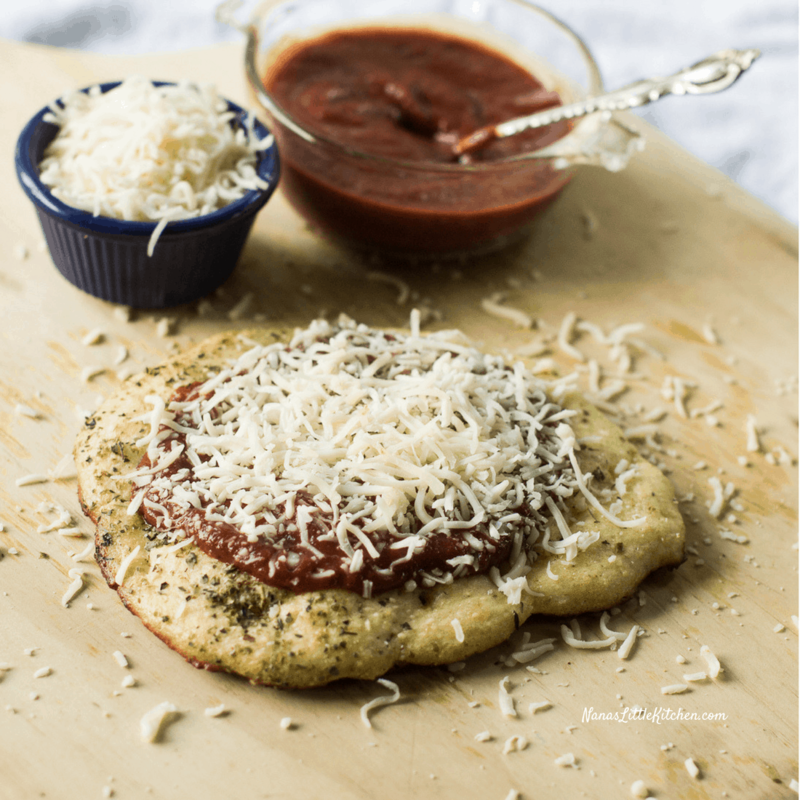 It makes a first class pizza crust or flatbread that holds up like a real crust in this quick single serve recipe that can be multiplied using a full sized option in this recipe and FROZEN once it’s baked and cooled. It tastes just as good reheated as it did fresh from the oven for a quick pizza or flatbread sandwich anytime! I could go on and on about the fantastic qualities of this bread but let me try to sum it up by saying; once you have the quick-to-mix up biscuit mix on hand you just need to add 3 ingredients to make this bread including mozzarella. And yes this is a mozzarella batter bread that does not turn into a dough and so requires no handling, no rolling, or special parchment paper, etc. Just heat your skillet (which serves as a hot stone for this crust), and pour the batter into the hot skillet. Place it into the 400-degree oven for under 10 minutes and you’re ready to top it or freeze it or enjoy it with your meal. There is nothing low carb bread like about this wonderful bread and I hope you enjoy it as much as we do! Once you’ve made a batch of this THM Friendly Bisquick Style Mix you’ll be ready to make these other great low carb dishes using this mix in a flash. 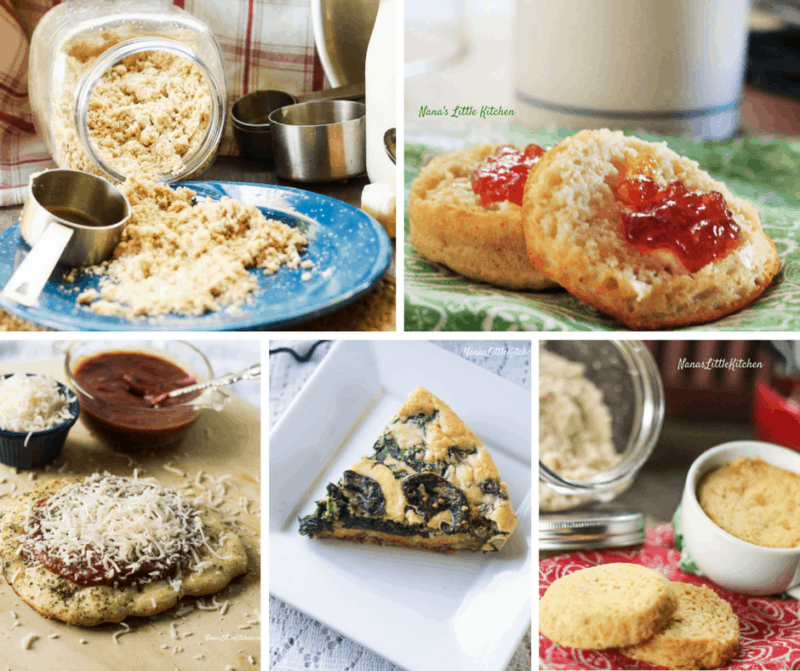 Try the Melt In Your Mouth Biscuits, the Southern Style Biscuit in a Mug, or the Spinach Bacon Quiche soon! Low Carb Personal Pan Pizza Crusts can be made and cooked in batches and FROZEN. They taste just as good reheated for pizza or flatbread sandwiches anytime! This recipe can be doubled to make a 12" crust or 2 single crusts. It can also be quadrupled to make 4 single crusts to freeze for later. Combine the biscuit mix and mozzarella, and cottage cheese in a small food processor ~ I recommend this one! (or blender- something with blades) and cut in well, add in egg whites and any other optional ingredients and pulse to blend lightly. Don't overmix the wet ingredients. Do not let the batter sit any longer than for the amount of time it takes to heat the skillet or it will get too thick and you'll need to add more water to make it spoonable. To make the single serve crusts. Drop the entire single serve recipe or approx. 1/2 cup batter of the multiple serve batter into a 6"-8" hot oiled, cast-iron or ovenproof nonstick skillet. Pop the skillet into the preheated 400 degree oven and bake until done (about 8-10 minutes for the 6" and longer for the 12"). Test for doneness but do not over cook or it will dry out! 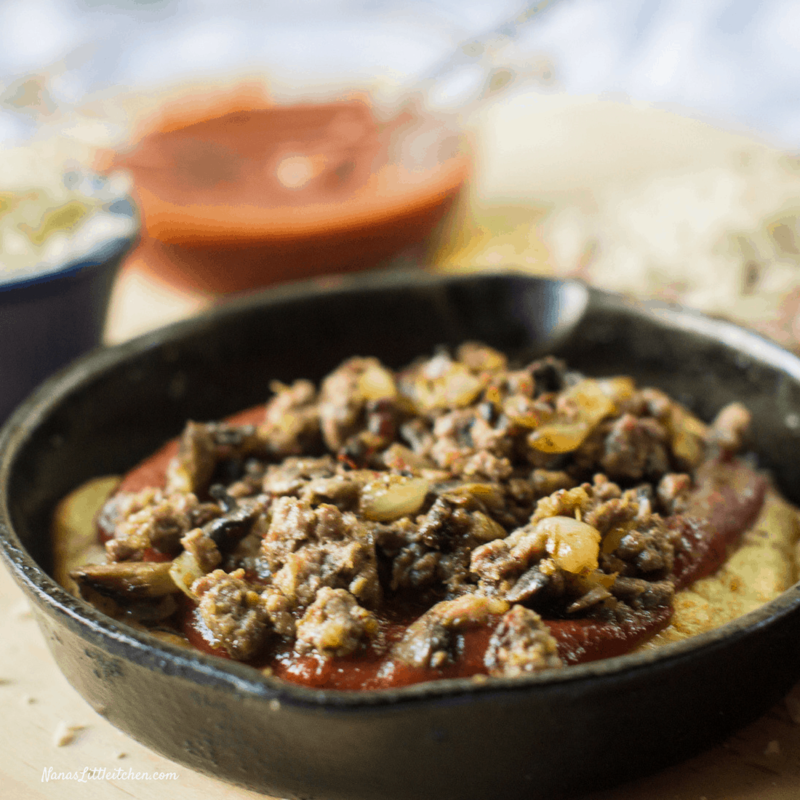 I love this dipped in extra virgin olive oil with spices, as bread for a low-carb Italian dinner or make it into a pizza with your choice of toppings! Not only does this pizza crust satisfy that real pizza urge but it always looks so cute doing it! A low carb recipe along these lines was posted a few years back by the legendary keto cook Sooze Gibbs over on her fantastic site Fluffy Chix Cook using her Keto Biscuit Mix I’m excited to have stumbled upon a way to THM this one (making it lower fat but still an S) and offer it as an option for those wishing to use the THM Friendly Bisquick Style Baking Mix with the superfood baking blend. 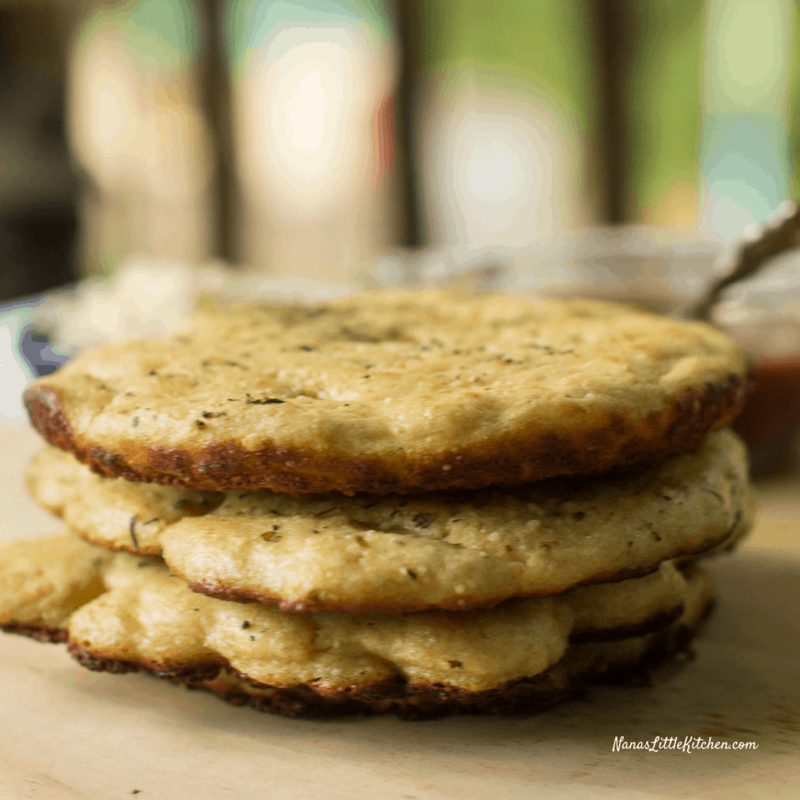 Use this Low Carb, S, Bread in any meal or recipe where you would use naan bread. 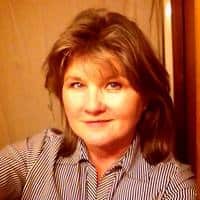 Looks great Teresia! Can’t wait to try! Why no Pin for this? So, could one use THM bakng mix for this? Thanks for sharing. The baking blend is part of the biscuit mix, which is designed to be a quick to fix biscuit mix where you just add in your perishable ingredients. An added benefit to this one is that it tastes a whole lot like Bisquick so can be subbed in many of those recipes but you will need to add in extra eggs and liquids for protein and moisture. Hi when do I put the pizza toppings? So I pour the batter onto the hot skillet, then sprinkle with seasoning and bake in the oven. Then I take it out, put all the fixings (cheese, meat, veggies etc) and bake it again? Is there an alternative baking method if you don’t have a cast iron skillet? I LOVE single serve recipes for portion control. Could you do this on a cookie sheet and bake in the oven? Love this recipe so much! I thought I had commented on it but I guess I didn’t! I love making little mini pizza crusts for my lunch! I have these small, very small iron skillets and I have been using them to make the pizza crusts! Thanks!